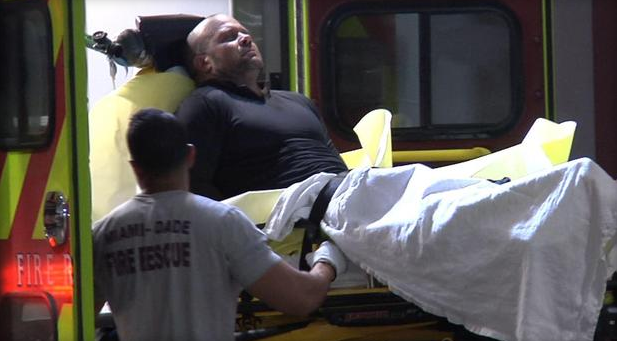 Police responding overnight to a call of an active shooter at President Donald Trump’s golf resort in Doral, Florida engaged in a shootout with a man and then ended up taking him into custody with gunshot wounds. The Doral Police Department confirmed at a news conference early Friday morning that the man was found with a handgun in the lobby of Trump National Doral Miami resort, making anti-Trump statements. Officials are held a press conference on the shooting where police identified the man in custody as Jonathan Oddi, 42, of Doral. One officer sustained non-gun related injuries but nobody else, apart from the shooter, was wounded. The man in custody was not identified, and his motive remained unclear. 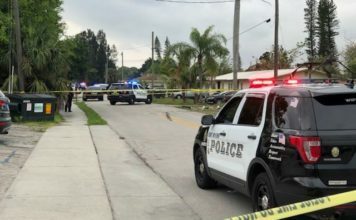 The emergency call came in at approximately 1:30 a.m. Eastern time and Doral Police Department officers responded with assistance from officers from Miami-Dade Police department. They confronted the subject immediately and exchanged fire. The man was “neutralized and taken into custody without further incident,” the police said at the news conference Friday morning. The subject “is believed to have been shot multiple times in lower extremities,” the police said. Officials confirmed there was gunfire prior to officers arriving at the hotel. Police said there was a definite attempt to draw officers to the scene. A fire alarm was also set off. Police said the man was using a semi-automatic handgun, but they didn’t say what kind. 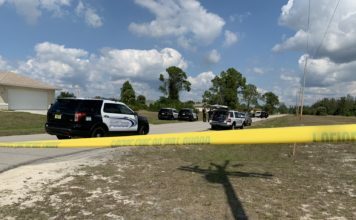 The investigation would involve several authorities, and officials from the Department of Homeland Security and the Secret Service were on the scene. The FBI was to be involved in the investigation.